" Fairy's Tea " for The romantic spring! : Happy Aging & Beautiful Anti Aging loving.
" Fairy's Tea " for The romantic spring! Today's PICKS ☆ 春のお花のミルクティ Spring flower milk tea!
" Fairies tea " has been newly released. 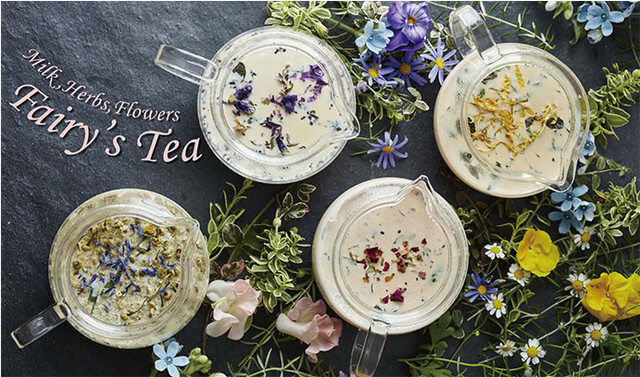 Spring flowers in tea or herbal milk tea , the image of a brightly blooming flower garden. The romantic spring , boost the girl mood of spring !